For many years, the franchising industry has been dominated by fast food franchise behemoths such as McDonald’s, Subway, KFC, Dominos, Pizza Hut and Papa John’s, with McDonald’s alone having some 36,000 franchised locations globally. It’s not difficult to understand how fast-food franchises have been successful thus far: a BBC Good Food Nation Survey discovered that most people consumed fast food twice a week on average, and an unbelievable 16% of 16 to 20-year-olds had fast food at least twice a day. 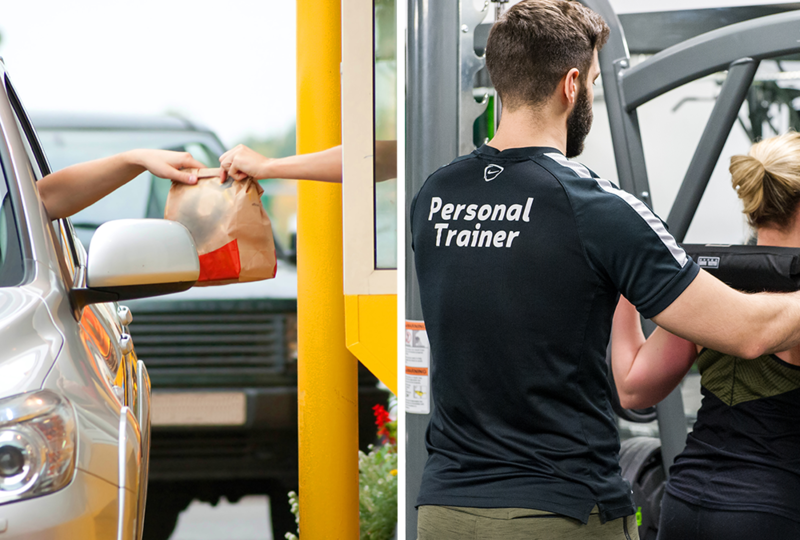 But while fast-food franchises remain one of the top five franchising opportunities in the UK, a developing trend is for franchisees to open low-cost gyms alongside their existing successful food franchises. In fact, several of our énergie franchisees come from a background of fast-food franchising – many with multiple fast-food sites – and this is a trend which we’ve seen accelerate this year. So what is it about the gym franchising industry that is attracting fast-food entrepreneurs to become a part of it? Fitness is an industry now worth £4.9 billion, and there are predictions that the market will reach in excess of 10-million memberships in the UK by the end of 2018. Research from a 2016 report by PwC shows that millennials are leading the fitness trend across social media, blogs and mobile apps, while the government is also introducing sugar tax laws and other initiatives to combat obesity. Reducing demand for unhealthy fast-food is likely to eventually lead to a decline in fast food franchising as failure rates increase. We’ve all heard of the fast-food franchise giants – but now we also recognise the names of the gyms that are popping up across the nation. Alongside fast-food heavyweights, low-cost clubs including énergie Fitness are really making their mark in the franchising industry, even appearing under the UK’s top franchises. Not only are the start-up costs lower, but site-finding is a far smoother process due to less requirements. In addition, competition is more limited as when opening a gym you usually will only find a couple of other gyms within a few miles radius, whereas you can often find dozens of fast food competitors on the very same street. Gym owners have a dependable revenue stream provided by membership subscriptions, meaning your sales activities can focus on growth and not just covering costs. With fast-food chains, there’s no guarantee that you’ll see a sustained increase in revenue at any stage, and it can be difficult to predict cashflow and the future of your business based solely on general trends. Want to find out how you can join today’s thriving fitness industry as one of our franchisees? Fill in your details below to receive more information. By submitting this form you agree to our Privacy and Cookies Policy and consent to receiving marketing communications about énergie Fitness franchise via your input contact method(s). You can opt out at any time.